The REBASING project intends to develop a comprehensive work program to improve the cooperation between universities (and research centres) and enterprises, thus empowering the capacity of companies to exploit innovation and introduce it in their working routines. The modernisation of universities’ system and the development of the relation with the productive world are the main challenges of the project and will be dealt with by transferring a very practical approach developed in Norway within the context of the Regional Programme for innovation research and development. 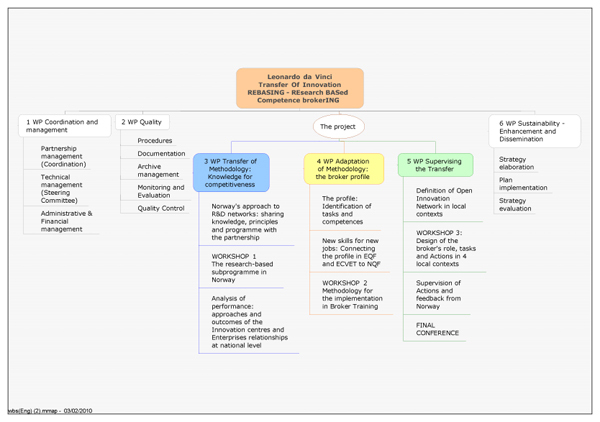 The core of the transfer action is the research based competence broker: this professional figure is able to analyse the enterprises’ needs in terms of technological and organisational innovation and link needs to universities capacity to provide for innovative solutions. REBASING trusts that the broker can significantly operate to improve the quality of cooperation between two environments (university and enterprises) which is often fragmented and inefficient. As a consequence of the general objective of the project, a well-assorted consortium has been formed: there are four universities from different European countries – Norway, Estonia, North Italy, South Italy. The Norwegian one is the source for innovation, while the others have outstanding experience in dealing with enterprises as catalyst of empowerment and development. The other partners, including the leading one, are service organisations expressed by Enterprises associations daily in contact with the business community, to provide companies with training, services and innovation development. REBASING will produce a comprehensive set of outcomes: first of all, the analysis of the success factors of the Norwegian experience and their comparison with the characteristics of recipient countries will set the stage for the transfer action. Secondly, the broker profile will be adapted to local conditions in order to ease its transferability. 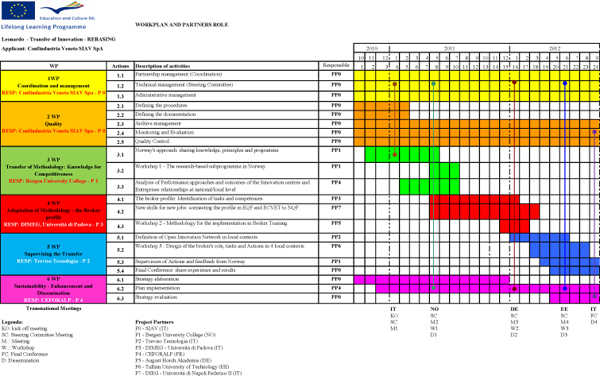 Moreover, the adapted profile will be structured according to the ECVET and EQF scheme (knowledge, skills, competencies) in order to make it more transparent and usable all over the EU. Third of all, the profile will be transferred in recipient countries by experimenting it with key professionals and by exploiting their capacity within the context of Open Innovation networks. Eventually, REBASING will impact both on local relations between universities and enterprises and on VET systems. 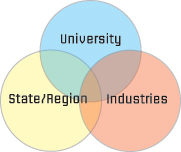 In the first case, cooperation between companies and the academic world will be less fragmented than it is now and cooperation will lead to a better exploitation of the potential of university to satisfy companies’ needs. Local VET systems will be improved via the availability of a new profile structured according ECVET and EQF standards, which make it more transparent and transferable across the EU.